Two hundred three alcohol-using college students completed a questionnaire on their levels of alcohol use, moderate to severe problems with alcohol use, and measures of life stress, impulsivity, compulsivity, irrational beliefs, and depression. While impulsivity significantly predicted both alcohol use and problems, stress, compulsivity, irrational beliefs, and depression were found to only be significant predictors of alcohol use problems. When irrational beliefs, impulsivity, and compulsivity were combined to form an “irrational coping” scale, this construct was found in multiple regression analyses to completely mediate the effect of stress on alcohol use problems, while depression was a partial mediator of this effect. 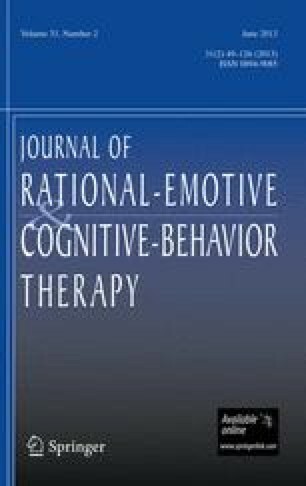 Results were interpreted in terms of Rational Emotive Behavior Theory.